Currently, Microsoft is working with a small group of food and lifestyle bloggers, experts and “social influencers” to create these boards. If the experiment works out, the company plans to expand these offerings to other users and topics. For the time being, though, Microsoft isn’t saying how exactly its curators are creating these lists. 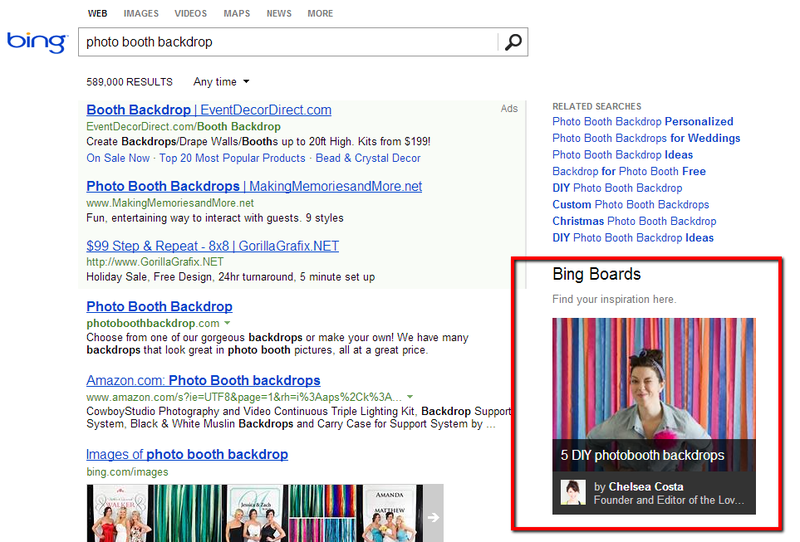 Here is an example for a search query that brings up a Bing Board in the sidebar. The Bing team argues that what it’s trying to do here is similar to what it’s been doing with social search all along. “In the same way that we’ve brought knowledge from friends and recognized experts into search, we’re providing a new way for passionate people to create highly specialized content, specifically for search,” Bing Experiences Program Manager Chen Fang writes. Fang notes that these results are meant to be complementary to Bing’s regular web search results and will appear in Bing’s middle column. Microsoft also announced that it’s going to run a number of other social and community experiments on Bing in the near future. While Google seems to have de-emphasized social search, Bing still remains focused on the social aspects of search, and, if anything, it looks like it’s now doubling down on these features in an effort to set itself apart from its competitors.